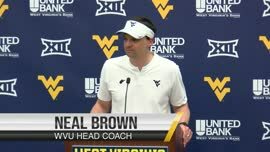 MORGANTOWN, W.Va. — Unable to stomach five turnovers, Dana Holgorsen probably thought his offense couldn’t play any worse. Then it netted minus-2 yards in the fourth quarter. That explains how the No. 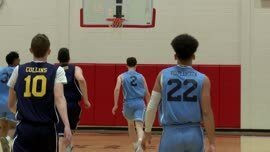 20 Mountaineers lost a nine-point lead in the final eight minutes and ultimately lost the game, 31-30, to No. 10 TCU. As West Virginia endured three consecutive three-and-outs to end the game, its fourth-quarter offense consisted of only nine plays. Quarterback Clint Trickett attempted only one pass during that span, an incompletion to Kevin White, and was sacked on his only other dropback of the quarter. It was an atypical day for Trickett, who tossed two interceptions, lost a fumble on mistimed snap and threw for a season-low 162 yards. TCU’s two sacks hardly illustrated how much pressure Trickett felt. At 3.6 yards per carry, the running game wasn’t able to deliver. But West Virginia would have loved that average in the fourth quarter, when it lost 2 yards on eight attempts. 1. Trickett as a leader of the team has to make much better decisions with the ball he was the reason for the loss. 2. When tcu has ball in our territory with less than 2 minutes left Holgorsen needs to use our 3 timeouts so we have at least a chance to get ball back. Instead he doesn't use any until the end of game to try to ice a very good field goal kicker. I've seen 4 coaches at WVU and holgorsen is the worst at using timeouts correctly . 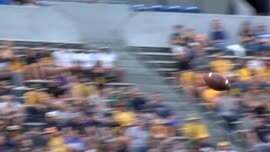 3 kevin white should be thrown the ball with 1 or 2 guys on him! Great players make great plays and kW is a great player. he didn't make them tonight. On my way to Morgantown tomorrow as WVU gets the Humanitarian Award for being so kind in giving the game to TCU!!!! Not only gave it away but we gift wrapped it and put the bow on. Let me add, I'm not defending anyone, the play calling was suspect but the offensive execution was just as suspect. Game could have been an absolute blowout had our defense not played the game they did and put in the terrible positions they were put in. Regardless of the reason, we lost to a top ten team by one point. Our defense is playing some outstanding football and have absolutely nothing to hang their heads about, when the offense only runs 9 plays the entire 4th quarter your defense is going to get worn down and tired. The offense has been a little out of sorts since the week off and with some tough football yet to play we better get it figured out and figured out real quick, I think our defense deserves it with the way they are playing. We will face another top 15 team in two weeks but next week we have a team in Texas that is full of 4-5 star players who, if the light bulb comes on, can play with anyone. We can very realistically win out and if done the season will still be very successful. This isn't the big east anymore ya'll, this is big 12 football and we've already faced 4 top ten teams this season. Just think, we could be playing UCONN or Rutgers next week with the highlights not even sports center worthy. Is no one concerned about the fact that in the 4th quarter we manged -2 yards on 3 possessions each being 3 and outs while leading by 9? Do you not understand with this type of play there are no winnable games left on the schedule? This wasn't just a normal WVU loss that we have grown used to, we had to work hard to get this loss, when you have to put that much effort into losing wouldn't it have been just as simple to put a little of that effort into actually trying to win the game? Since you have given up on the season will this be the last time you post? A life loyal fan! Who the hell r u? Any one I want while I'm sitting here on my a**, having a beverage and not getting any answers as to why we (left tackle at the moment) didn't try to win this game. That's right, blame it on the offense and Clint got spooked. The real issues were the coaching, all those downfield sideline passes to KW that never could be completed,but hey…why not beat a dead horse. Holgersen and Gibson need to grow a pair of gonads. The defense play a great game until the last series and they have them in zone, how did that work out for ya Gibson..stick with what got you there and what was working. The offensive play calling was predictable and uninspiring, instead of being 7 and 2 we are 6 and 3…feel sorry for the players, coaching staff let them down big time. Trickett audibles into the runs half the time. He certainly audibled into a run on the final play. The play call was a pass, that's why Holgorsen was mad. Watch the replay. He was spooked, just like the coach said. Didn't you say last week that Holgerson was the greatest coach ever to roam the WVU sidelines? I also wondered after the first hit on Clint, if he had symptoms of a concussions, his decision making was uncharacteristic of him, and he ran around like Jason Pierre Paul and Bruce Irvin were after him when usually the pocket looked decent to at least step up toward l.o.s. Bottom feeder,ole sasquatch and Rich hit the nail directly on the head....Hard. Boykin looked to be and was so so so terrible, with 5 offensive turnovers and most during very positive plays (except Clint getting stripped, and ultra conservative calls the last few series with a D that seemed to be rightfully gassed. Not sure where WVU goes from here, though the talent is there to finish with 3 losses and a decent bowl bid. My biggest concern is the lack of creativity to get the ball to Kevin White. He's the best wide out in the country, and the last couple series there wasnt a safety, TCU decided we were going to try to run, we did , and they stopped it. I hope WVU can stay healthy and win out. You can't win games without leadership and character regardless of what the scoreboard reads at the end of the game. That's right, blame it on the offense, Clint got spooked. Let's own up to the blame, how about all those sideline passes to KW that never connected and the last series of offensive and defensive coaching….that is why those hard working dedicated players lost…coaching!! I agree! Defense played what amounted to prevent defense and that is not what got us the lead. As for DH can he please tell me how Smith comes in and runs the daylight out of the ball and then he takes him out? Hello, we have a receiver named Kevin White! Hello! hello, he was covered like a cheap rug, hello. Again, we were successful in clutching defeat from the jaws of victory. Stupid, stupid play calling when it mattered. Didn't give the kids a chance to win. Holgerson is the one who got spooked. Played not to lose which did not work. Very poor game & clock management. Poor coaching. Kids played great except for the turnovers. Ugly loss. The "kids" lost the game, not coaching. stop the ignorance. J and C, it's starts and ends with coaching. These are 18-21 year old kids. They need leadership and guidance. They can't do it all by themselves. Do u have any kids? You never stop parenting nor coaching. 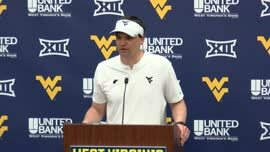 Well I'm glad Dana is taking responsibility for this, it's the first time since he got to WVU he's taking responsibility for anything. Trickett was "spooked?" How about some more creative play calling? The news is out on Kevin White. He's pretty good and teams are going to take him away, adjust! Did Dakiel Shorts play today? Can we explore the middle of the field and throw it there sometimes? How about a wheel route to a RB? The slant to Alford? Throwing the ball sideways against a fast defense doesn't work. Once TCU took away our run game after the 1st half their defensive game plan became a lot easier because Dana's creativity and Clint's pocket presence were both "spooked." Yes, I agree we gave this one away. Seems as though the first half of the season we threw winning on the back of our offense, now winning seems to be on the back of the defense. What changed the defense - being more aggressive, how do we get back the offense (that's right) playing more aggressive. There is a need to throw quick short passes more over the middle. The offensive line was not consistent today. Thought when we ran the fumble in big momentum would easily carry us to the win. There was some arguing among the players. Trickett and the center were becoming vocal in dissatisfaction. The Ole Sasquatch has coached enough games to know that is a bad sign. Things like that go through the whole team like lightning. 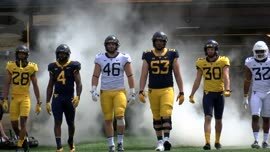 Holgorsen and staff need to address the players on that tomorrow. Texas will not be easy at all. They have that Louisville coach and it don't take him to long to get things going, as he did with Lousiville. Several couches likely received a reprieve this evening. However, win or lose, we still booze.